Mike Brown Grandstands offers a wide variety of seating options ranging from low cost mobile bleachers (seating 200+) to large custom bleachers seating thousands. 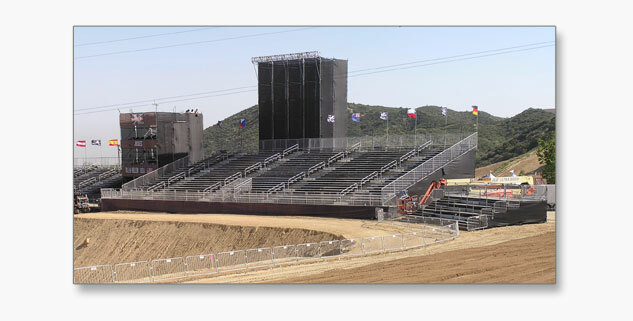 Our bleacher units have been used as spectator seating for parades, football, baseball, soccer, basketball, graduations, golf tournaments, and audience seating for TV shows & movies. 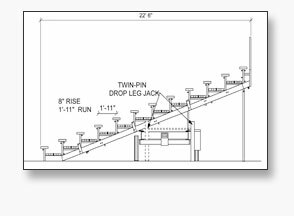 We offer a wide range of options including standard rise units, high pitch rise for improved sight lines, elevated walkways & platforms, as well as ADA seating and ramps.